How to make a fig tree . . . Guaranteed Success! A very practical and informative video explaining what wood to prune from a fruit tree and why. Leigh Adams redirects rain water into her backyard to large swales – or ditches on contour. These large ditches allow water to slowly drain into the surrounding landscape. Plants grown in this environment do extremely well. We’re very excited to see how well this fig tree does over time! To find out more about Leigh Adam’s backyard swale project, following this link . . . Here is a lemon tree I almost gave up on, then all of a sudden new growth appeared above the graft joint (in the scion wood). I tied this new branch to the trunk to steady it a bit. We will see how the tree does come Spring. By planting various alliums – like onions, garlic and shallots – I have been able to keep night roaming rodents away from other plants and new seedlings growing in the same bed. The Philippines, a nation of more than 7,000 islands, faces enormous devastation in the aftermath of Typhoon Haiyan that produced record strength winds along with high storm surges. Approximately 10 million people across 40 provinces have been affected with as many as 600,000 people displaced and the death toll continuing to rise. 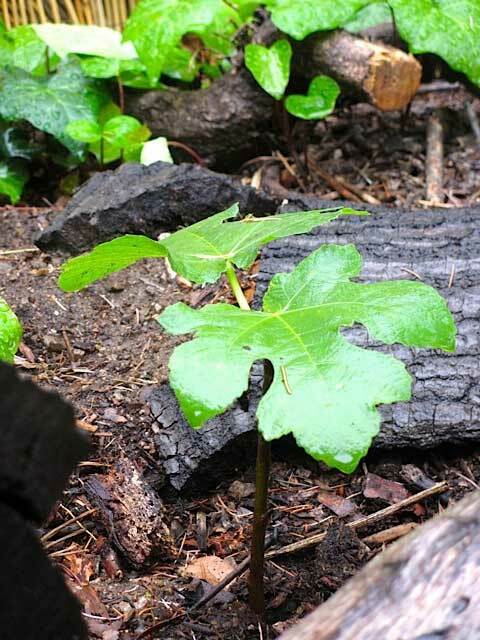 Keeping your grapevines mulched during the Fall and Winter months ensures healthy growth in the Spring and Summer months. When mulching, back off a bit from the trunk. Tim Dundon enjoying one of his Crimson Sweet watermelons late in the season – Nov. 9th! By taking advantage of radiant heat, Tim has been able to grow Summer vegetables late into the Season. Another very nice photo, taken early morning. Adding structures to the garden, like this Buda statue, add nice points of reference and contrast to surrounding vegetation.